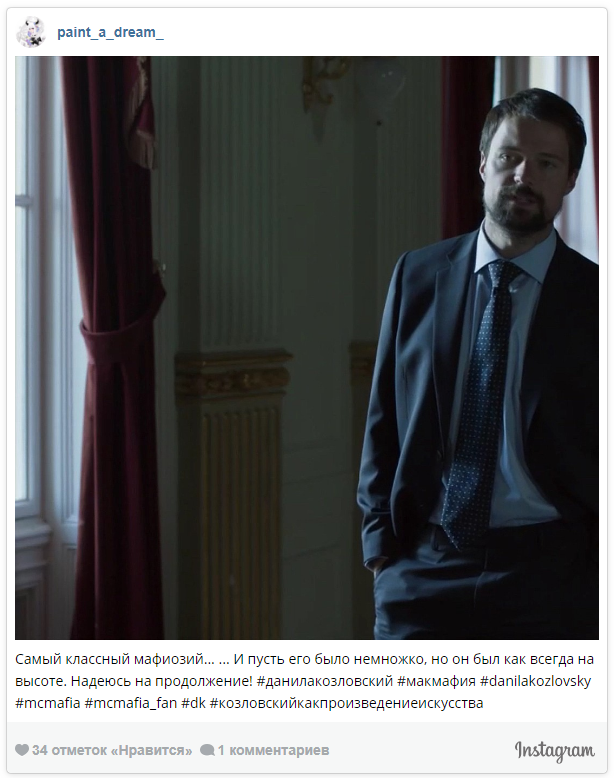 Danila Kozlovsky's character appeared in the final episode of the first season. 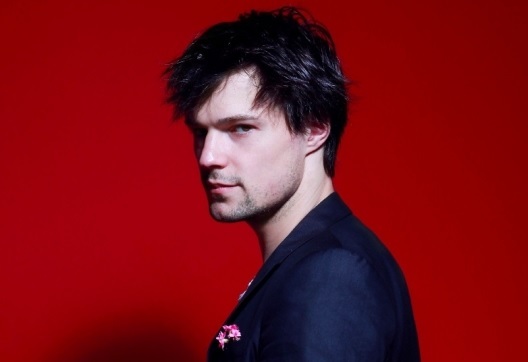 Russian actor Danila Kozlovsky's notched up an impressive list of title roles. This time he played in the British multi-series about the Russian mafia - McMafia. The main role performed by British actor James Norton. In addition to Kozlovsky in the series also starred Russians Alexei Serebryakov and Maria Shukshina. 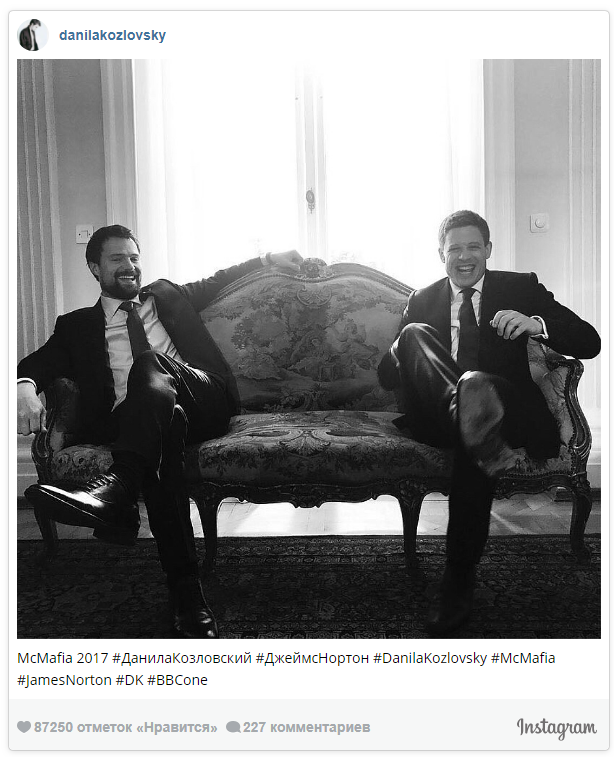 Kozlovsky himself has never really talked about the shooting much, but posted on his Instagram photo with James Norton. Shootings of the series were conducted on the initiative of the British Broadcasting Organization BBC. Writers became Hossein Amini known for his work on the series "Drive" and James Watkins. Watkins, known for the series "The Black Mirror", became the director of the film. Inspired by the book of British journalist Misha Glenny "McMafia: a journey through the international criminal world", published in 2008. Danila Kozlovsky appeared in the final episode of the first season. The name of his character is Grigory Mishin. The series released on 11 February. Briefly, the series tell the story of the son of Russian emigres Alex Goodman (played by James Norton). He tries to get out of the shadow of his former mafia family and organize a personal business and family with his girlfriend Rebecca (Juliet Rylance). But, it is clear that it is difficult to escape from such a past. Alex is forced to infiltrate the underworld to protect those he loves. The guy will have to travel around the world - from London to Moscow, Dubai, Mumbai, Africa, North and South America, getting pulled into the showdown where Mexican drug cartels compete with Pakistani drug lords, Balkan smugglers and naturally the Russian mafia. In the first season eight episodes are supposed. Filming took place in Moscow, London, Croatia and Qatar . REMIND: Previously, Danila Kozlovsky got the role in the extended Canadian-Irish historical series "Vikings". The artist got one of the most important roles of the sixth season - Prince Oleg, nicknamed the Prophet. Historic Canadian-Irish TV series created by Michael Hirst, who also called about "Vikings" comes out on television screens in 2013. McMafia: Launch Trailer - BBC One. Welcome to the family business Brand new drama starring James Norton. Coming Soon to BBC One.